1800 Clairmont Lk Unit 327 , Decatur GA 30033-4038 ... (404) 294-7945. Richard John Boyens, 79, of Decatur, beloved husband, father and grandfather, passed away Saturday, February 10, 2018. Born in Brooklyn, NY, November 3, 1938, he was the son of the late Clarence and Esther Jacobsen Boyens. Richard learned to fly before the age of 16 at Marine Park Seaplane Base in Brooklyn and was flying before he could drive. He became an air traffic controller at Laguardia Airport when he was 20 and went on to be a commercial pilot for Pepsi Cola before finally joining NortheastAirlines which later merged with Delta. He retired as a captain from Delta after over 20 years. 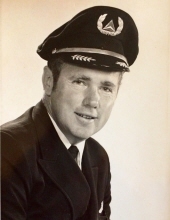 In addition to flying, Richard enjoyed golfing, tennis, bird watching, and spending time with his family.